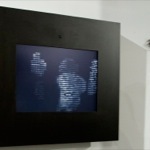 Rafael Lozano-Hemmer - Project "Third Person"
Third Person is the second piece of the ShadowBox series of interactive displays with a built-in computerized tracking system. 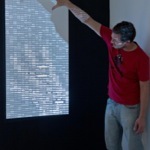 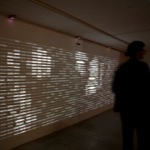 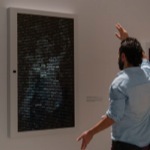 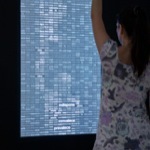 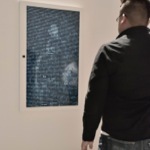 This piece shows the viewer's shadow revealing hundreds of tiny words that are in fact all the verbs of the dictionary conjugated in the third person. 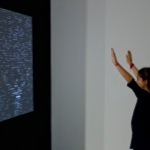 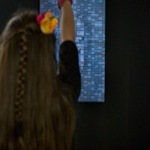 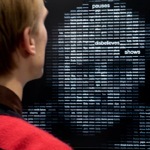 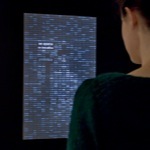 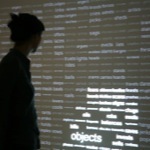 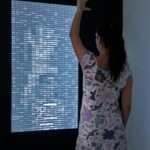 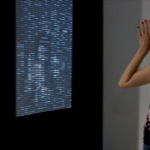 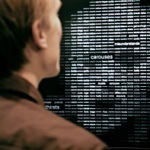 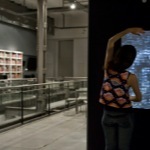 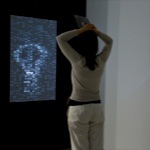 The portrait of the viewer is drawn in real time by active words, which appear automatically to fill his or her silhouette. 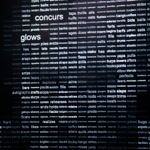 The collector may choose to display the words in English, Spanish or French, or a combination of the three languages. 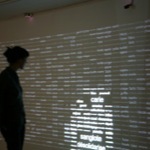 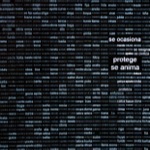 Keywords: database, outdoor, interactive, projection, indoor, tracker, surveillance. 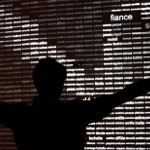 Permission to be Global, Museum of Fine Arts Boston, Boston, Massachusetts, United States, 2014. 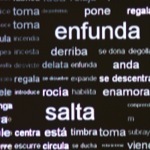 Permission to be Global, The Cisneros Fontanals Foundation, Miami, Florida, United States, 2013 - 2014. 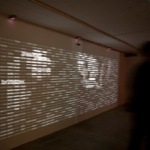 ARCO '10, Galería Max Estrella, Madrid, Spain, 2010 (projection version). 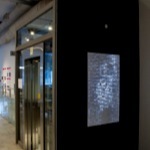 Recent works, Galerie Guy Bärtschi, Genève, Switzerland, 2009 (projection version). 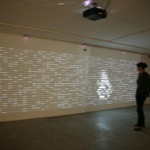 YOUniverse, 3rd International Bienniale of Contemporary Art, Centro Andaluz de Arte Contemporáneo de Sevilla, Sevilla, Spain, 2008.